Beginners table is a quarterly gathering curated by a group of volunteer artists from different disciplines. The general public will get to pick a taster session to attend and these taster sessions are guided by select volunteer artists. Nichole helps out at Beginner's table as their regular Copperplate Calligraphy anchor. 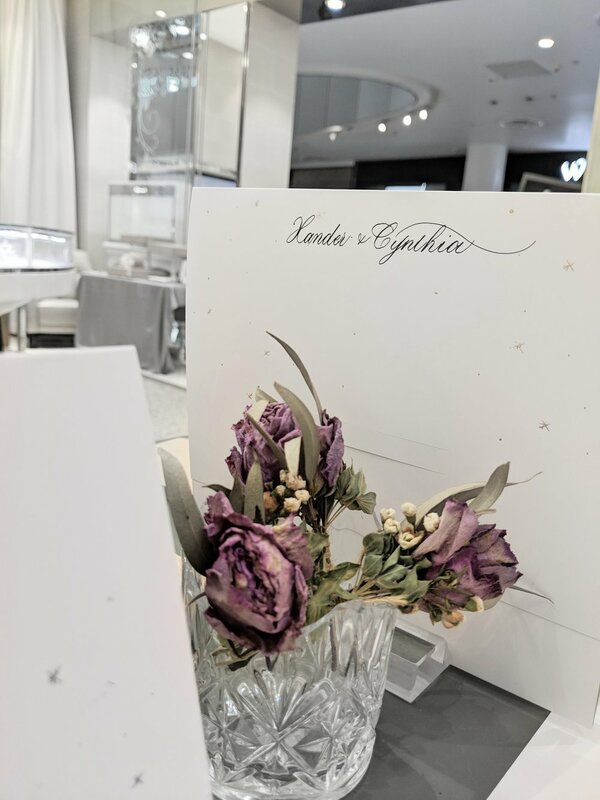 For Love & Co.’s closed door event, Nichole was invited to personalise their brand cards for couples that has booked their weekend ring consultation at specified outlets for a weekend. 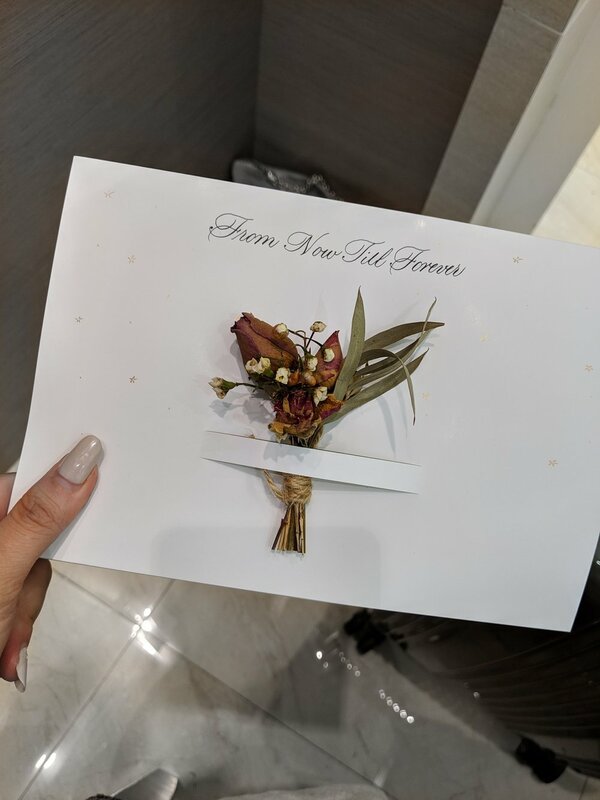 Nichole has prepared floral foilages to go with the personalised card and the brand stationeries are hence designed with slots to fit the posies. For Jimmy Choo’s VIP & media event, Nichole was invited to personalise Jimmy Choo brand candles as a complimentary event gift for guests. Delve into the history of calligraphy with artist Nichole Tin, as we celebrate the art of words. She’ll reveal how she draws inspiration from 18th-century illustrations. You’ll get hands-on with iPad, Apple Pencil and the Procreate app to explore different brushes and textures. Then you’ll create a custom monogram, inspired by traditional techniques. Bring your devices or we can provide them. This event is By-Invite-Only, kindly RSVP to book your tickets with us. 1 ticket admits 2pax. Join us at The AHAVA Showcase happening on the 25th August 2018! Celebrate our inaugural launch of a new production space, The AHAVA by SAMMO Group. Immerse yourself in our industrial-themed hall that beautifully combines utilitarian design with worn textures complimenting the warmth of raw-edged elements. 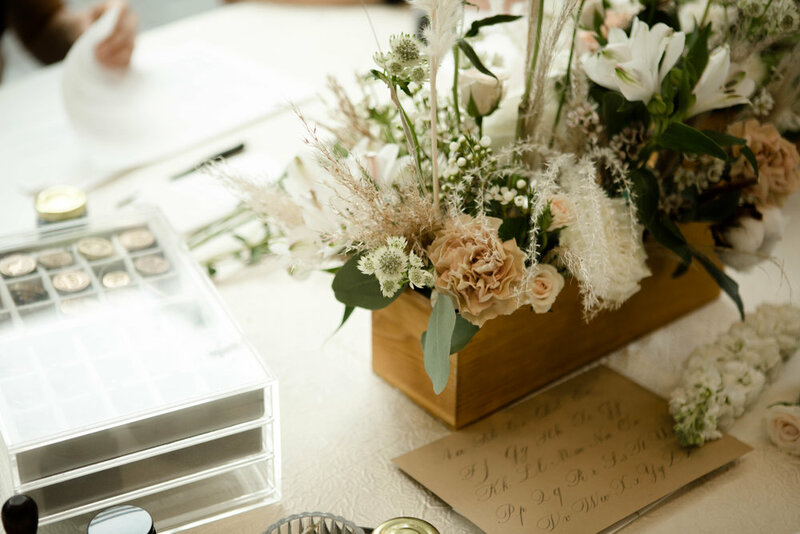 During this showcase, you'll get to listen firsthand from artisans that will be sharing insider tips on personalising and curating your big day that is uniquely yours. Explore the different packages that includes an array of menu selections with our selected vendors. Featured menu items will be served during the event. There will be a buffet spread alongside our vendor’s signature live food stations for you to enjoy. There will be exclusive promotions with vendors and cash vouchers to be redeemed! Take part in our giveaways in collaboration with participating artisans and vendors. * Bridal Showcase by Ethereal The Label featuring their newly launched Kimono Cheong Sams and Bridal Collection. Giveaway Prizes worth up to $4000! Aside from one lucky couple who will get to win a $1000 Gift Voucher, there are also 15 giveaway prizes to be won from all participating artisans and brands. T&Cs apply. 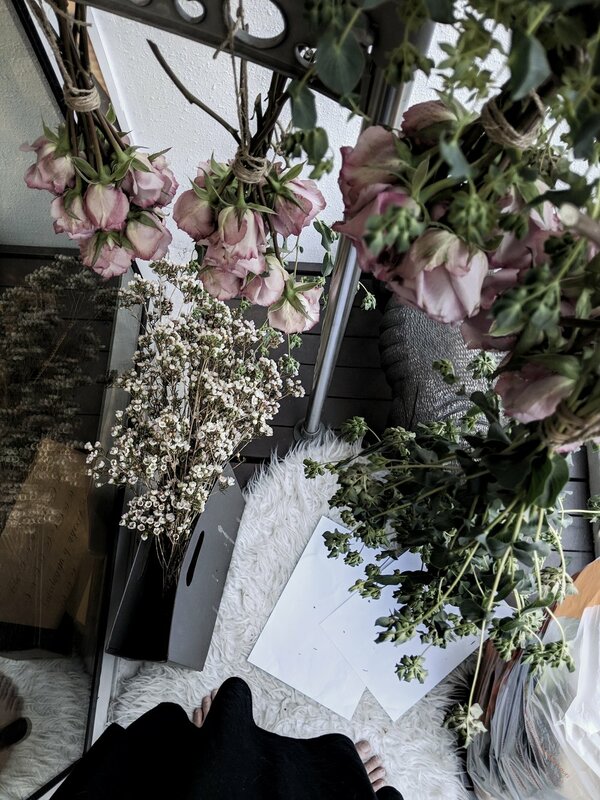 To celebrate the inaugural launch of The AHAVA, we are offering $500 off all AHAVA packages (includes Venue,Floral and Catering) for every couple when they purchase our packages on the 25th August during our showcase 2018. We will be extending our rate held from September 2018 to August 2020. To learn more about The AHAVA, visit www.theahava.sg. In recent years, Copperplate calligraphy has been adopted as an umbrella term that is used to describe a range of pointed pen calligraphy styles that is very similar. The key differences between the scripts stem from reasons like origin, key historical events and more. This style is often favoured when legibility for the art piece/project is important. As such, we often see calligraphy (in Copperplate style) being adopted in wedding invites, envelope addressing or in formal correspondence - A large portion of calligraphy works we are being engaged to write for formal invitations/events, requires proficiency in this script. In our Uppercase workshop, you'll learn the basic shapes that constitute to majuscules. In our majuscules workshops, we categorise the letters according to the type of basic shape each majuscule has. This will help you better understand how the basic strokes are used in majuscules. Selected books that we love to study for Copperplate and some penmen’s works that I study from will be brought for our students to view. Our Basics of Classical Calligraphy workshop will walk you through a few selected pointed pen styles and understand some basic fundamental differences between the different hands. This will help you be more aware of what to look out for. Subsequently, you will learn how to form basic strokes, form letters and words in a chosen Copperplate style. Vellum Pocket tags will be specially made for our students in this workshop. Play with different inks we have in-house and decorate the vellum tags with your new skills. Several floral foilages will be brought in (based on availability) for our students to decorate your pocket tags with. 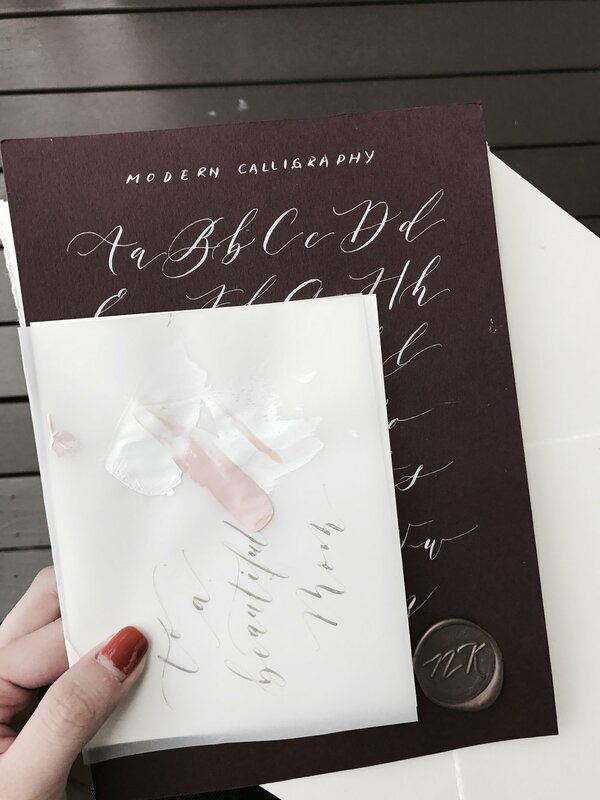 Alternatively, spend all the time during the workshop with your calligraphy practice and bring your vellum pocket tags and foilages home and complete this mini side-project during your free time. 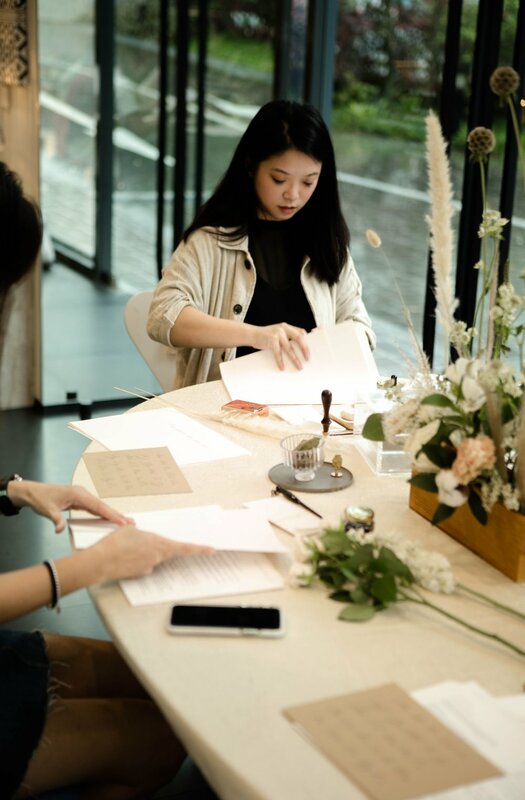 In recent years, Copperplate calligraphy has been adopted as an umbrella term that is used to describe a range of pointed pen calligraphy styles that is very similar. The key differences between the scripts stem from reasons like origin, key historical events and more. In our revamped workshop series, our Introduction to Generic Copperplate will walk you through a few selected Copperplate styles and understand some basic fundamental differences between the different hands. This will help you be more aware of what to look out for. Subsequently, you will learn how to form basic strokes, form letters and words in a chosen Copperplate style depending on the artist that is teaching the session. Frequency: Held once or twice a month. Nichole @NicNKotori is the Scribblers Collective's Roundhand expert. She has spent countless hours studying the fine intricacies of the script, and has extensive experience with the dip pen. 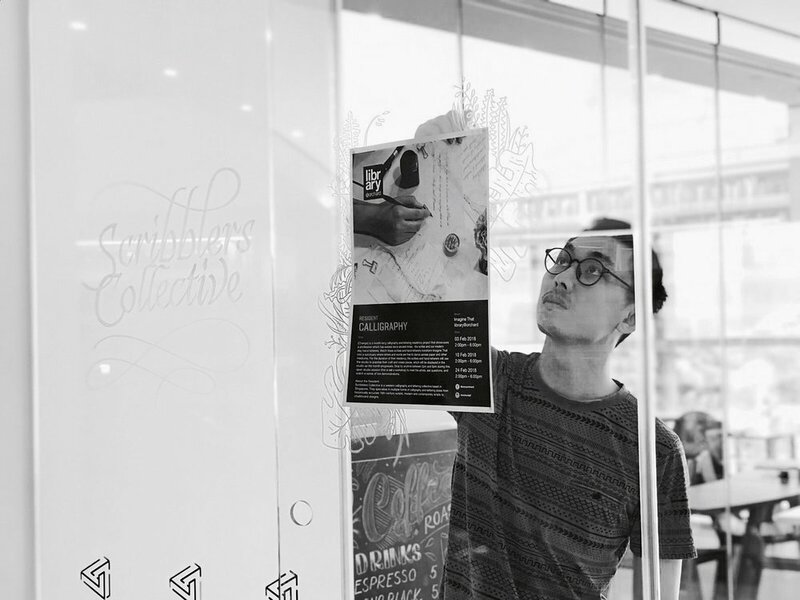 She also has an eye for detail in design, and is responsible for all visuals in the Scribblers Collective. To date, her works were featured in both print and online media like Harpers' Bazaar and also collaborates with brands. Her calligraphy style is known to be (quoted by media)" traditional yet romantic and exquisite altogether!". 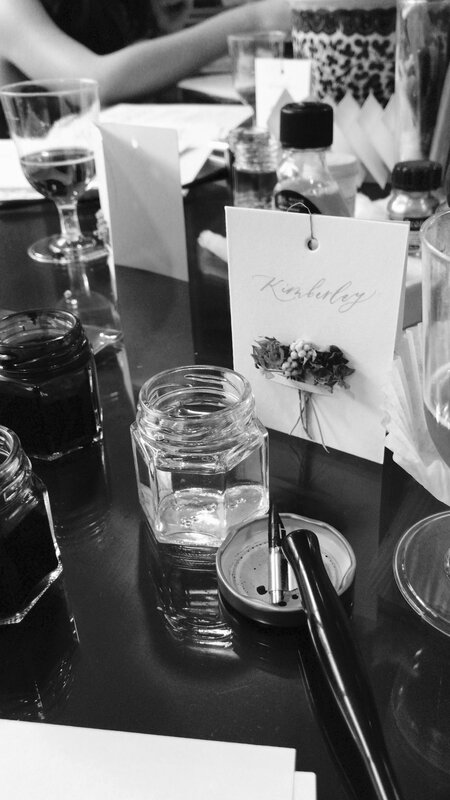 After a 2-month period of invitation design for Kimberley, we ended off with a private calligraphy workshop for Kim, her bridal party and her family. We have 10 participants for this session with multiple tea/wine breaks to rest their hands. It was a session that involved a lot of writing demonstrations and laughters. Remaining workshop spots are open to The Hive members only. 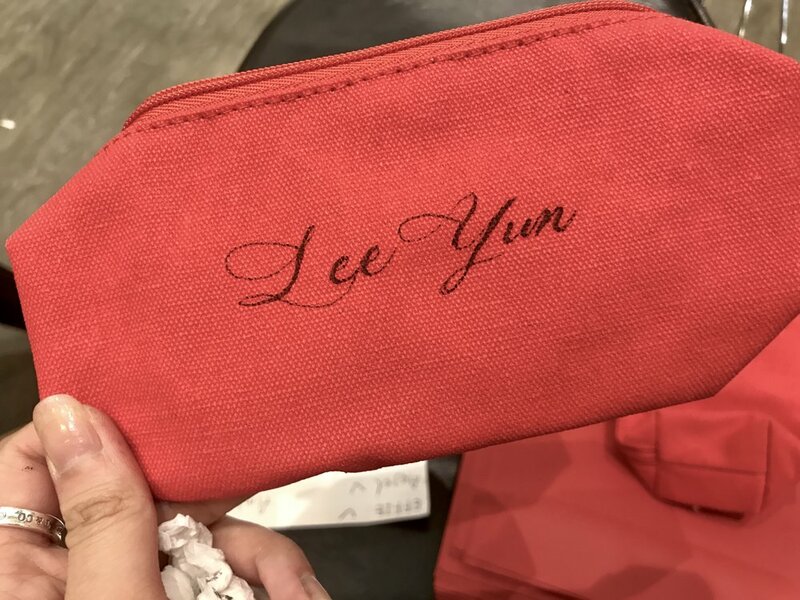 Specially for Christmas, Origins arranged a 2-day event where their customers get to have their free makeup pouches personalised by Nichole on-site. 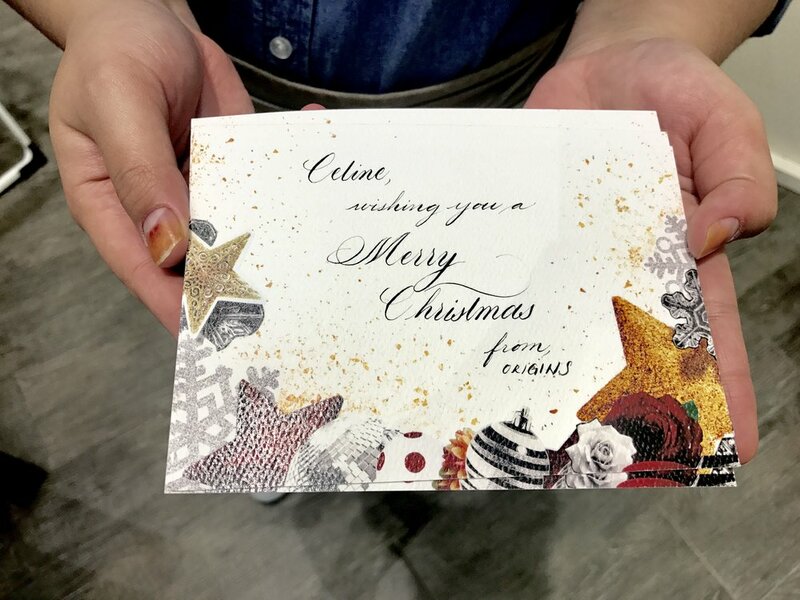 Customers get to craft a message which Nichole translates their messages into calligraphy scripts on Origin's Christmas edition cards. 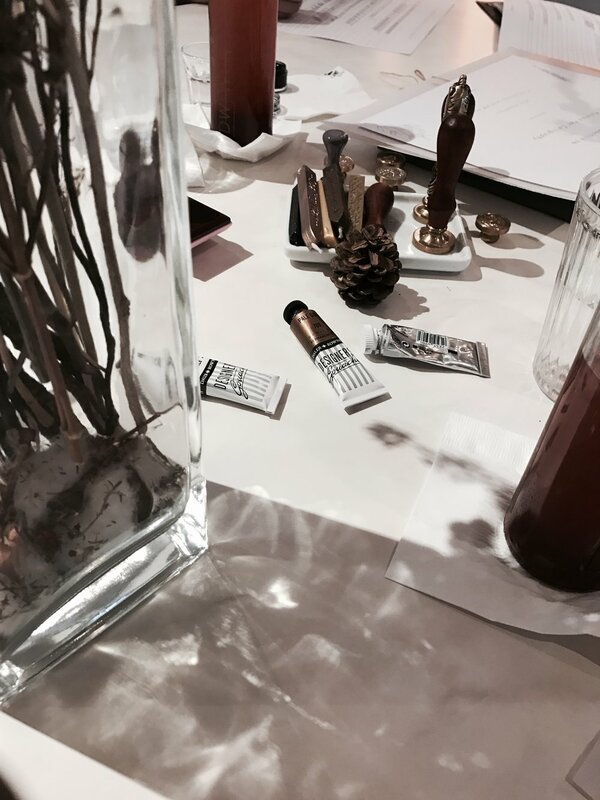 Nichole was engaged to write for Dior Parfums for Christmas alongside her team from Scribbles Collective. The event activation lasted during the weekends in November and December for Christmas. 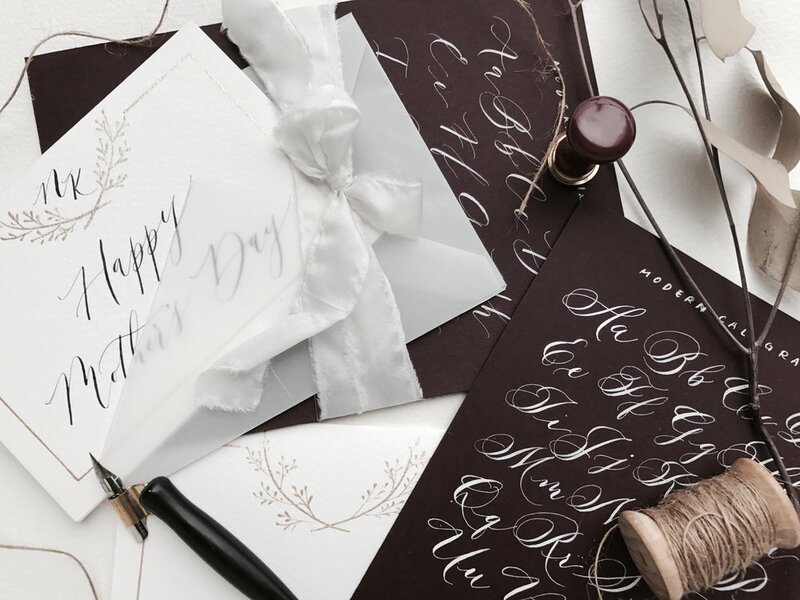 Specially for Mother's Day, Nichole has designed a Modern Calligraphy workshop in collaboration with DW Workshop in their workshop series. 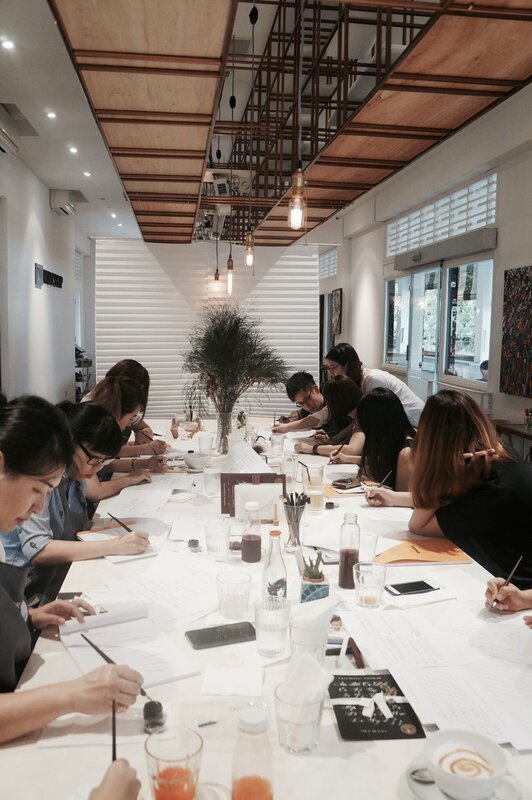 This Modern Calligraphy workshop is a floral themed workshop and attendees went home with floral posies. 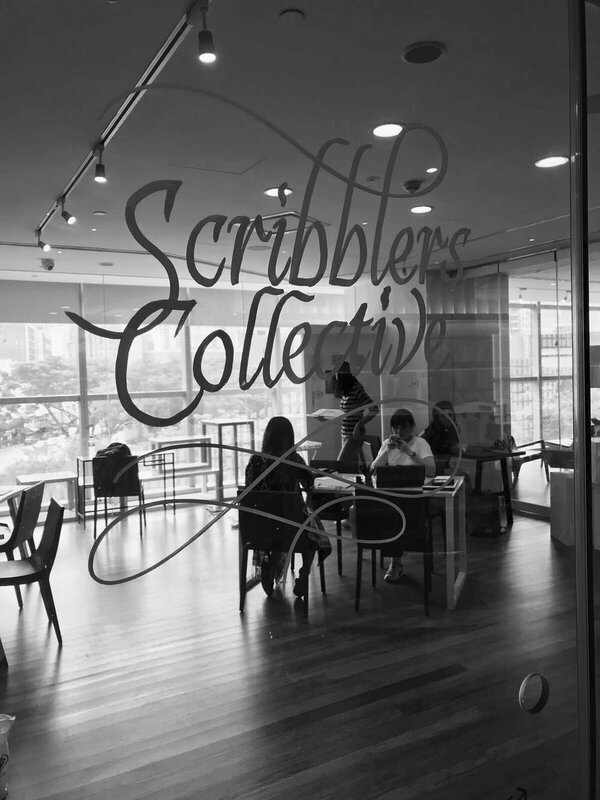 Similar to the last few workshops, guests are welcomed into their spacious communal dining area and were served light breakfast and beverages of tea or their cold pressed juices to complement the slow morning practising a new art: Calligraphy. 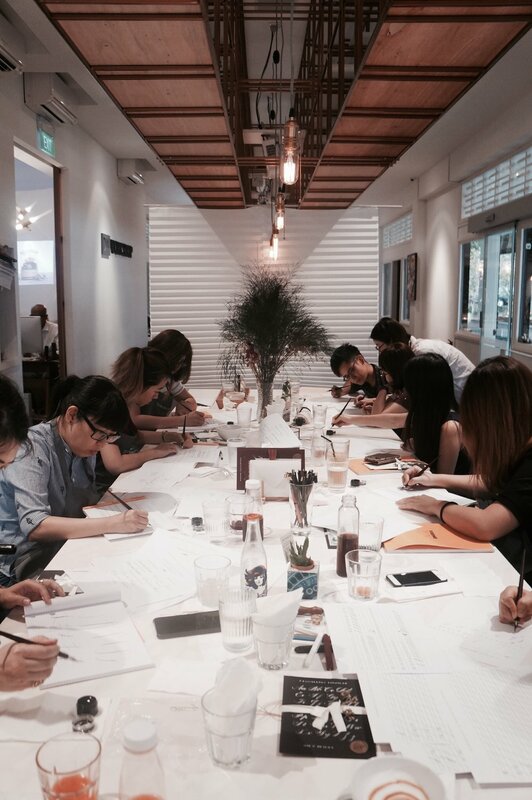 Continuing the Calligraphy x Food series, Nichole organised her second workshop with DW Workshop once again. Guests are welcomed into their spacious communal dining area and were served light breakfast and beverages of tea or their cold pressed juices to complement the slow morning practising a new art: Calligraphy. DW Workshop launched a new series of workshops for their space and have collaborated with Nichole on a Calligraphy x Food series. Guests are welcomed into their spacious communal dining area and were served light breakfast and beverages of tea or their cold pressed juices to complement the slow morning practising a new art: Calligraphy. Beauty Candy Lifestyle boutique is located at Mandarin Gallery. 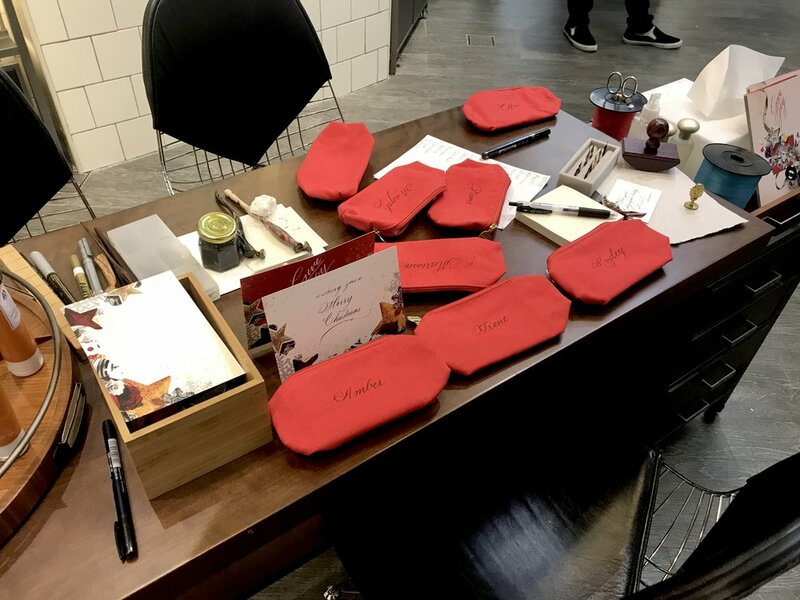 With the launch of their new products and brands, Nichole was invited to join their guests in the evening and personalise gift tags for all the media and client partners.